What does S.O.U.P. Troupe do to help Onekama? Well, the members of S.O.U.P. 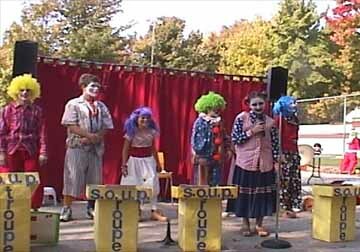 Troupe are Katie Prielipp of the sixth grade, Anna Veverica, Alana Wiltshire, Chelsea Miller, Lucie Salyer, Travis Schram of the seventh grade, and Clyve Lagerquist, Nathan Morrill, Josh Cebula, and Julie Schoedel of the eighth grade. This is an incredible group with great musicians so they are able to really do some great group songs. 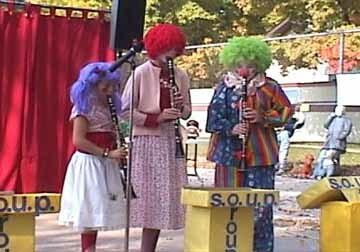 "They also have a few new singers along with comedy skits," said Mrs. Peabody, the advisor for S.O.U.P. Troupe. S.O.U.P. 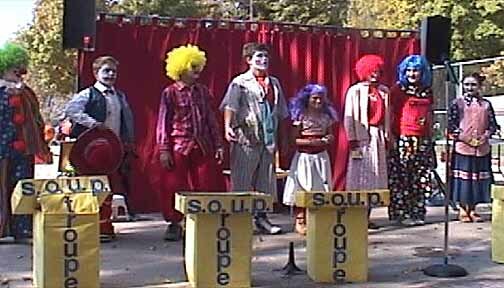 Troupe stands for Students of Onekama with Unique Performances. In S.O.U.P. Troupe the members sing, dances, and there is some comedy. Sometimes they go to senior facilities and childcare centers. Some of the girls say they like to dance. Travis Schram hacky sacks and juggles and was bribed by his mom with a new skateboard. They enjoy being in S.O.U.P. Troupe because it gives them the opportunity to help other people by sharing their talents while giving back to the community. 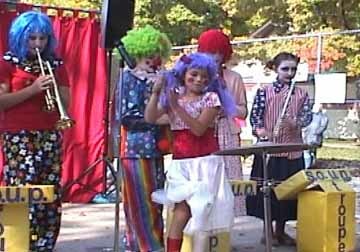 If youre looking for entertainment, grab a lawn chair and come to see the Students of Onekama with Unique Performances. 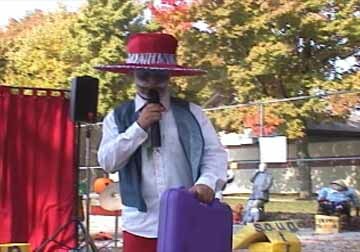 Their first performance was on Saturday, October 11, at Onekama Park from 12-1 p.m.